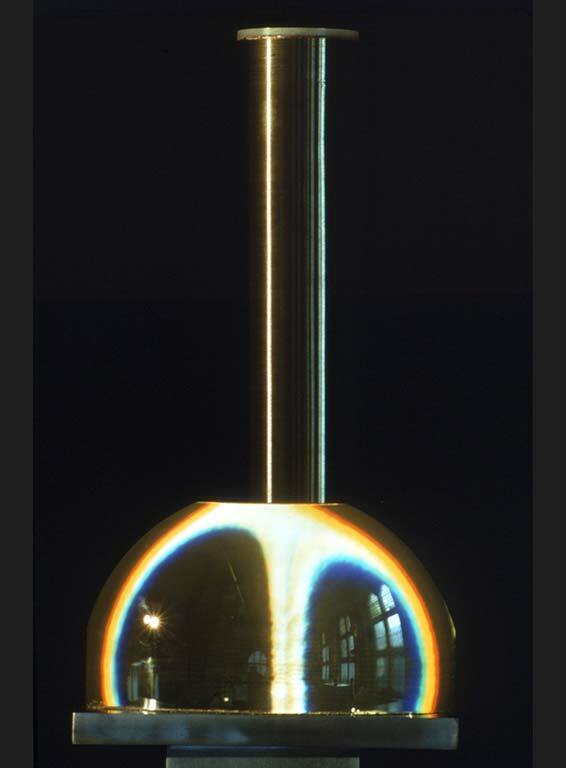 Denslens was one of four sculptures made in 1974 using a wire-wrapped rotating cylinder and an emblematic lens. Only one person can see it at a time, seated in the exact place for perception. From all other views two objects are seen. 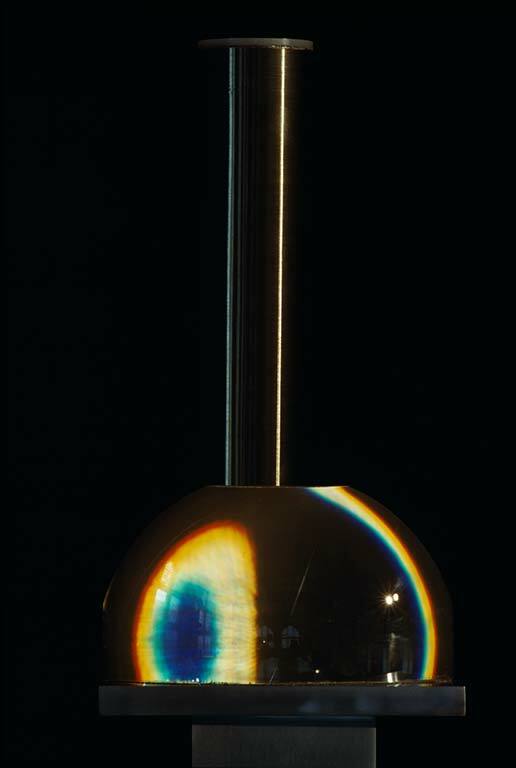 In these works, the lens magnifies a portion of the surface of the cylinder and the wire acts as a coarse diffraction grating, splitting the reflected light into a spectrum of colours. The cylinder revolves and the changes on its surface are magnified through the lens in a whirl of spectral colour. Position is important. The distance between the lens and the cylinder is fixed by the focal range of the lens, and there is a precise angle at which the viewer is aligned with the lens cylinder pair. The object is also an event, since seen from any other angle, the lens cylinder pair is simply two separate objects. It is only when the viewer is aligned with the pair that the visual event can take place.